Russian athletes won’t be able to represent their country at international competitions at least until November, International Association of Athletics Federations (IAAF) head Sebastian Coe has said. 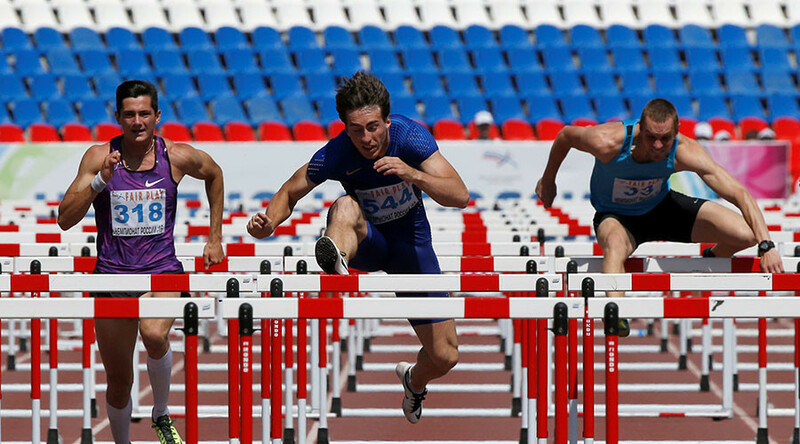 The IAAF extended the disqualification of Russia's athletics federation (RUSAF) at the beginning of February, prolonging sanctions originally implemented in November 2015 in the wake of a doping scandal in Russian sport. “I don't think (the latest decision) came as a huge surprise to RUSAF,” Coe told skysports.com on Friday. “And of course WADA (the World Anti-Doping Agency) has still to look at RUSAF as being code-compliant. There needs to be some cultural shift as well... but we're moving in the right direction." The IAAF president did however stress the progress that has been made in working with Russia. “We work very well with the new president of RUSAF (Dmitri Shlyakhtin). Keeping the ban in place would mean that Russian athletes have to miss the world championships in London in August. It’s known that at least 40 Russian track and field athletes have applied to participate as neutrals. According to Coe, the IAAF is considering that possibility, although nothing can be guaranteed. “This year? Probably not, but we may still see individual Russian athletes in the world championships in London in a neutral capacity," he added.